يحظى فندق فندق بيبرز جاليري بمكان متميز في محور المدينة والاستمتاع بـ ثقافة, الأعمال, سياحة في هذه المنطقة الفاتنة. يقع الفندق على بعد 0.5 Km من مركز المدينة، ويؤمن الوصول إلى أهم مراكز المدينة. كما يمكن الوصول بسهولة إلى عدة معالم سياحية قريبة. يعمل فندق بيبرز جاليري على ضمان إقامة مريحة لضيوفه من خلال خدماته الممتازة وحسن ضيافته. يقدم العقار واي فاي مجاني في جميع الغرف, أمن على مدار 24 ساعة, خدمة التنظيف يوميًا, مكتب الاستقبال على مدار الساعة, مرافق مخصصة لذوي الاحتياجات الخاصة لضمان الراحة القصوى لضيوفه. ادخل إلى واحدة من الغرف 80 وتخلص من عناء نهار طويل بمساعدة مجموعة كبيرة من الخدمات كمثل تلفزيون بشاشة مسطحة, غرفة معيشة منفصلة, اتصال لاسلكي بالإنترنت, اتصال لاسلكي بشبكة الإنترنت (مجاني), غرف لغير المدخنين الموجودة في بعض الغرف. يمكنك الاستمتاع بالأجواء المريحة التي تقدمها مركز للياقة البدنية طوال النهار. مهما كانت أسبابك لزيارة المدينة، فإن فندق بيبرز جاليري هو الخيار الأفضل لإقامة مثيرة وممتعة. يوجد موقف للسيارات. يجب حجزه مسبقاً. تتوافر خدمة انتظار السيارات المغطى والمؤمَّن وخدمة انتظار السيارات في الهواء الطلق بعيدًا عن الشارع نظير رسم إضافي بقيمة 10 دولارات أمريكية في اليوم الواحد، ويجب الحجز مسبقًا. Pleasant check in and staff were very nice. Room not far from reception and room beautiful and clean. Car park in separate building and a bit too far away. Got lost trying to find room and with luggage and a tired 4yo was a bit frustrating. Would stay here again definitely but would try to find closer parking. Only staying in Canberra for one night, I wanted something crisp, convenient and full of positive energy! 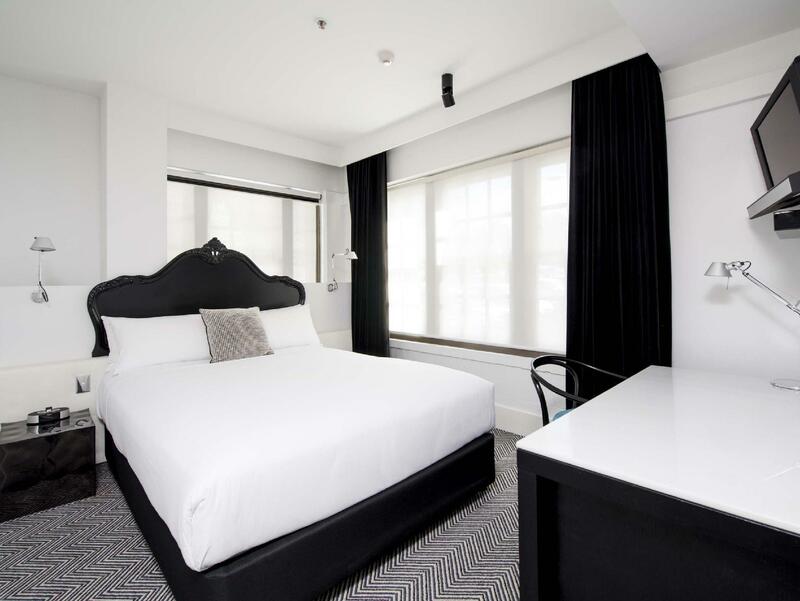 Peppers Gallery Hotel did not disappoint and left me wanting more of Canberra and the gorgeous little metropol pocket the Hotel is located in! Highly recommend! 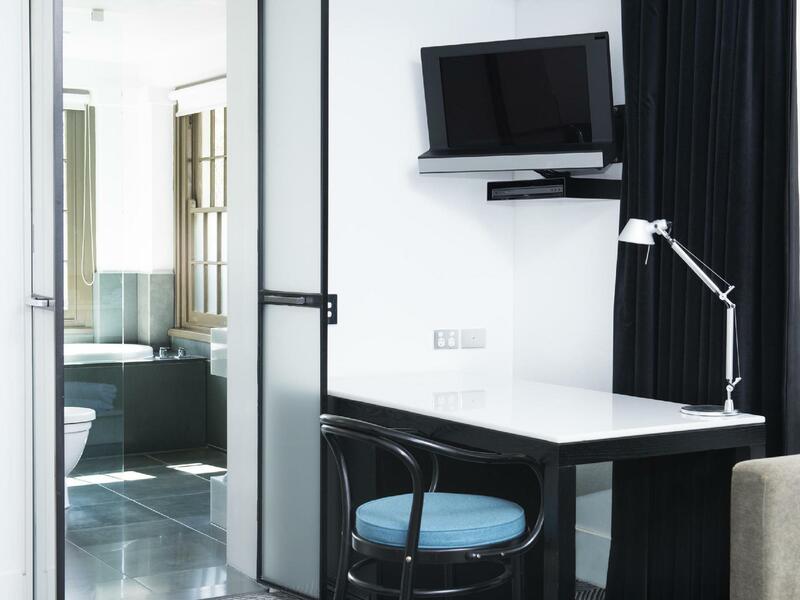 Really nice fit out and the rooms are really nice. Very good location - you can walk to the main shops if need be and Canberra has Uber now so its easy to get around. Quite good room service menu also. I was upgraded when I arrived. Every time I stay at Peppers they fill their rooms with a beautiful scent that makes it smell so fresh, I loved it. The room was massive and just really modern, lovely surroundings. I would highly recommend staying here! 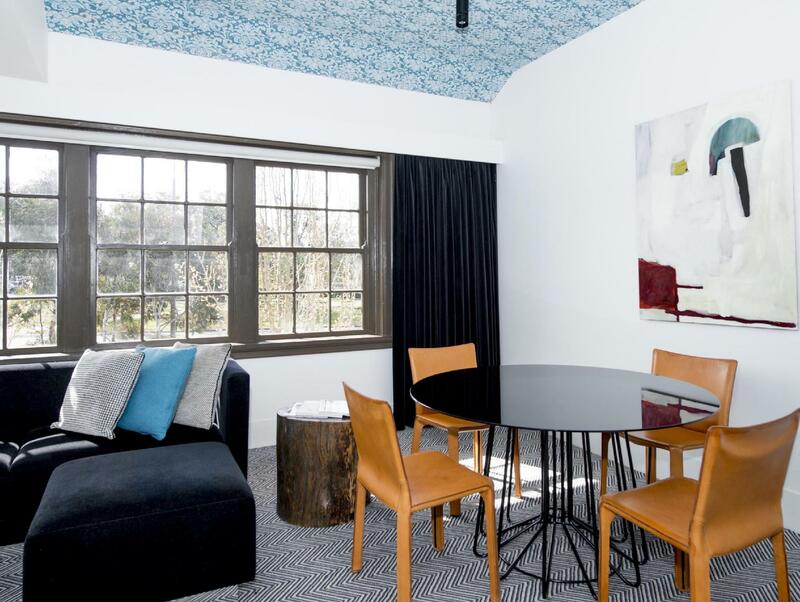 lovely hotel, expensive for what it offers but thats Canberra... great location, everything you need at your door step very clean absolutely would return - a couple of really good restaurants in the same complex - A Baker and Monster 2 mins walk... concierge made bookings for us. very helpful thanks! This place was great Very clean, and comfortable. Was a little bit away from the city but still in a great location. Will definitely recommend. Very poor service. Had to pay a $200 security deposit and they removed the minibar before I checked in. The parking is away from the hotel and its location is kept secret until you get there. The website claims there is a DVD/CD player in the room but that is false advertising. The rooms are small and paint peels in some places. 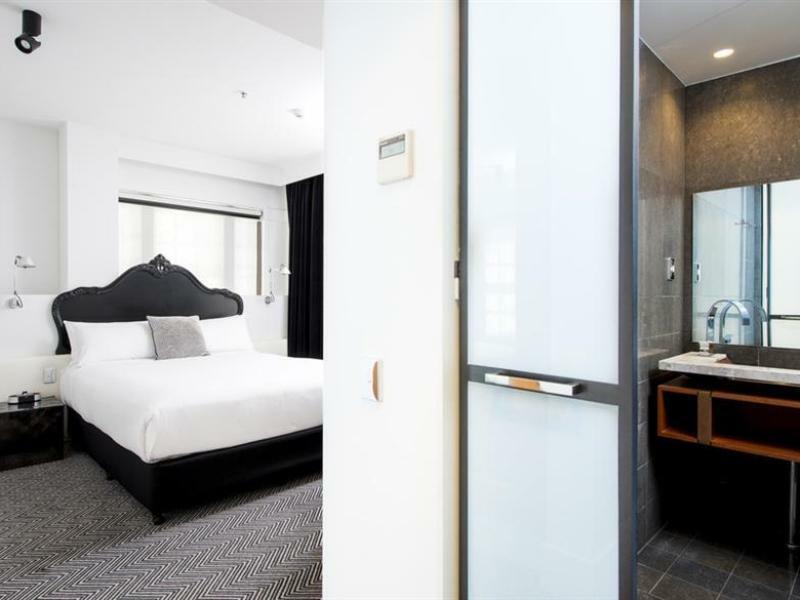 I usually stay at Meriton apartments and there are superb by comparison. No Meriton in Canberra unfortunately. Would not stay at this place again. It’s a dud. Our second stay at this hotel we have always found the staff friendly & helpful! Rooms are very comfortable we even had an upgrade, bathrooms spacious as well! We like it here as great hub of restaurants, movie theatre and hairdresser & spa ! The city centre is close by as with the bike hire if you want to ride around the lake as well as a lot of attractions are close by!! The Italian restaurant within has fabulous food ! We love this precinct area we can not fault the Pepper hotel ! It suited all our needs!! Thank you for your beautiful review on our Hotel, we hope to see you again in the near future for another great stay. 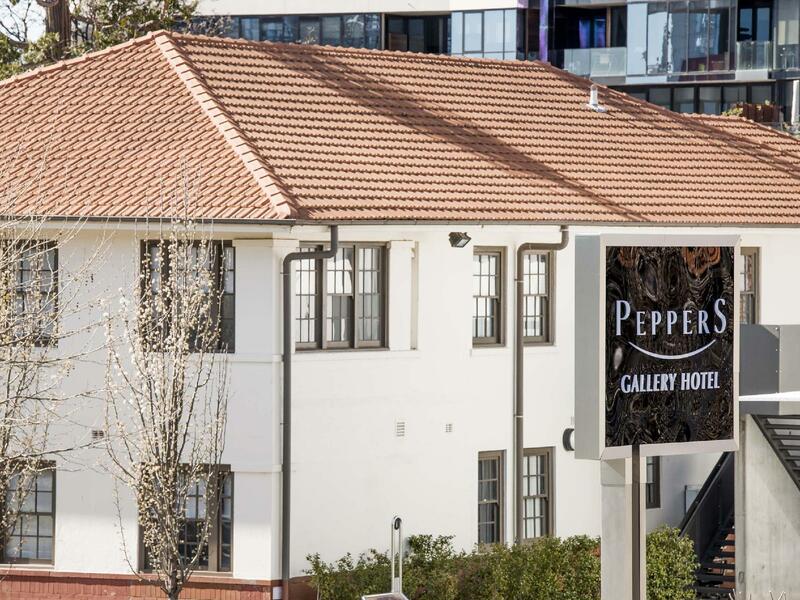 Peppers Gallery Hotel is in a very convenient location just a short walk from the free loop bus that you can take to the bus station or a number of other places around Canberra. We found the staff to be very helpful and the facilities were good. I love this hotel. It makes me want to return to Canberra sooner rather than later. The young people at the front desk went above and beyond the call of duty in trying to solve our parking problem. They found us a fabulous organic restaurant around the corner. This added to our delightful stay. The back velvet curtains and groovy wallpaper on the ceiling added to the groovy feel of our room. I love the vibe of the Acton area and this hotel was so easy to find. Thank you thank you Peppers Gallery Hotel. Overall happy with the cleanliness of the hotel and pretty room. A bit pricey but compensated by nice room, toiletries etc. a severe lack of tv channels options though. Would be wonderful if they had cable tv for international travelers. We visited Peppers Gallery recently to see our son at ANU. 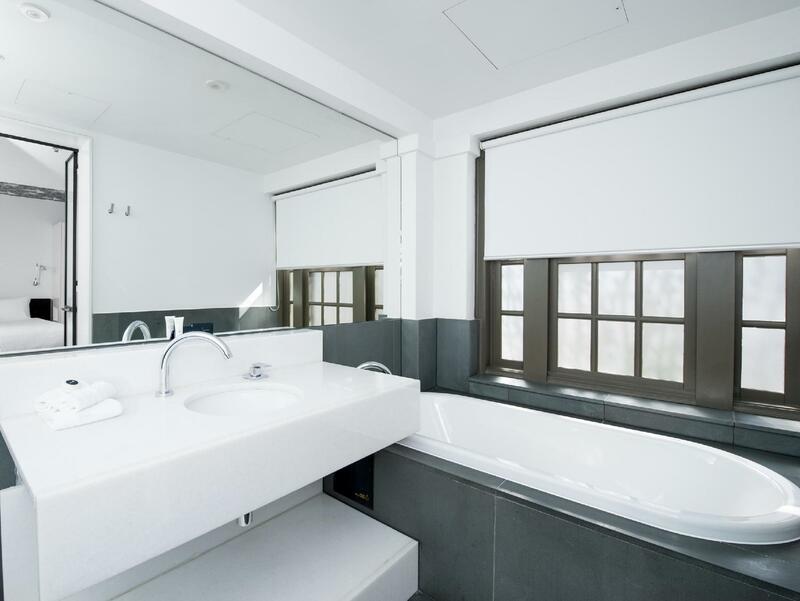 The hotel is very comfortable and is a short walk to the University. The staff were helpful and the atmosphere very peaceful. We were grateful for an upgrade as we had been living out of our suitcases in China and Japan for 6 weeks. Thank you for our stay. The hotel is very comfortable, clean and fresh bedsheet, towels. However there is this continuual sound coming from the air conditioner,. Not pretty sure or was it from the next door. Sound proofing not very good but overall it was a very pleasant stay. Ate in the restaurant and had an amazing meal. Wasn't too pleased to find out AFTER the meal the cost of a special request of the chef was twice as much. Hotel staff were very accommodating and the location was in close proximity to where I needed to be. At just over $200 for one night (a slow night at that) I don't know that the experience was worth it but it is a very beautiful and rare gem as far as hotels go. Leave bread crumbs so you can find you way back to your room or the lobby. Beuatiful hotel, excellent location and service, but our room was a little small! Thank you for the great review from your stay! We hope you choose us again for your next trip to Canberra! Thanks for the lovely review Iain. 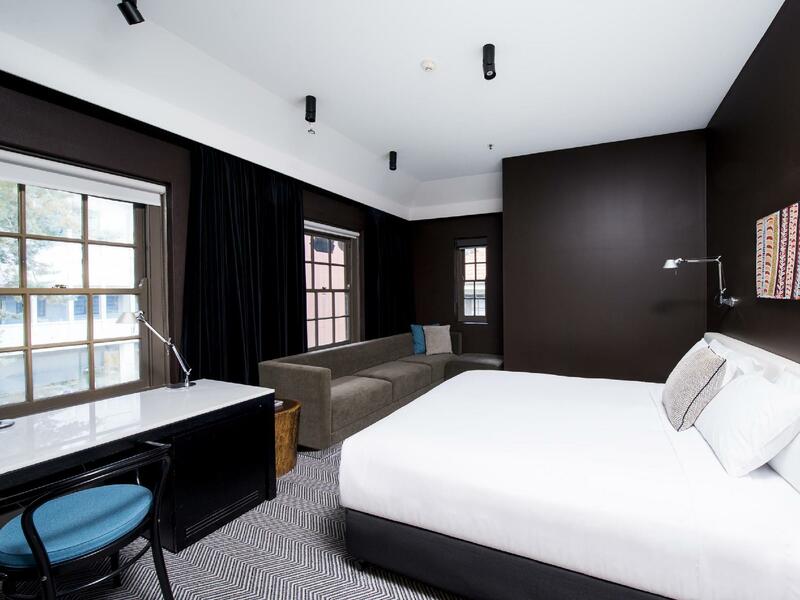 We hope to welcome you back to the Hotel for your next trip to the Capital of Australia.